The BBC is certainly feeling retro these days, as the broadcaster is dusting off another of its cult comedy series for a milestone anniversary celebration, but this one happens to be a shade darker than Alan Partridge. That's right, The League Of Gentlemen is heading back to the small screen for a three-part mini-series later this year to mark its 20th birthday. 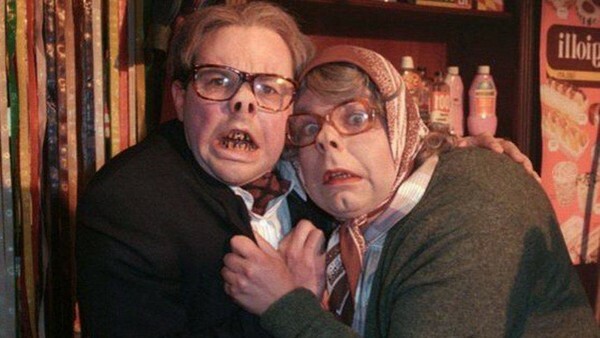 It's been more than 15 years since comedy fans last visited Royston Vasey, and they'll no doubt be eager to catch up with Pauline Campbell-Jones, Papa Lazarou, and Edward and Tubbs. Presumably Pauline will have her pens at the ready. The League of Gentlemen began life as a stage show at the Edinburgh Fringe festival before becoming a radio series and later hitting TV. The surreal gang also appeared on the big screen in 2005's well-received League of Gentlemen's Apocalypse. It's unclear whether everyone in the world will have tails in the new series following the events of the movie.